Nokia W7 and W8: the Finns' first Windows Phones? Rumours of the first Nokia Windows Phone 7 handsets have surfaced but don't get too excited now, they're just rehashes of existing Symbian phones. International mobile phone botherer Eldar Mrtazin has had a quick bit of hands on time with the two prototype handsets, the Nokia W7 and Nokia W8. The W7 is apparently based on the Nokia X7 hardware, while the W8 is essentially a Nokia N8 body with Windows Phone software. There's one major change to the innards though; both handsets will use the Qualcomm chipset that Microsoft insists on for all WP7 devices. Murtazin describes the W7 as 'like [the] HTC Mozart" and the prototype has a screen that is WVGA with a change to LCD rather than OLED, although it seemed Murtazin liked it. It seems likely that the W7 will be the first Nokia Windows Phone to launch, but the W8 will be higher spec, based on the Nokia N8. It drops to an 8MP camera with autofocus and boring old LED flash, but keeps the kind of out-dated design. But it looks like it will launch with a dual-core processor from Qualcomm which should make for a snappier experience. 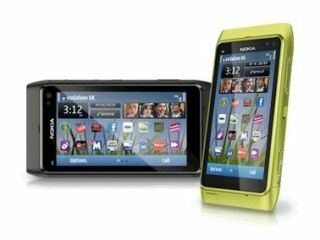 According to Murtazin, the priority is to work on the camera for Windows Phone 7 – no doubt this is where Nokia sees itself differentiating the most from the likes of HTC and Samsung. There are 12 Windows Phone Nokias planned for 2012 (how apt), so hopefully we'll see a few models that aren't based on existing Nokia hardware; still, if the company wants to get its first handset out before the year's end, it's the quickest way to go.